In reality, fishes should be swimming underwater, but there are fantastic illustrations out there that depict marine animals swimming in the sky. Like the flapping of wings, theses animals widely spread their fins, making the blue sky look like a vast ocean... This depiction is both exciting and exhilarating! It feels like you'll have a comfortable dream just from looking at them. 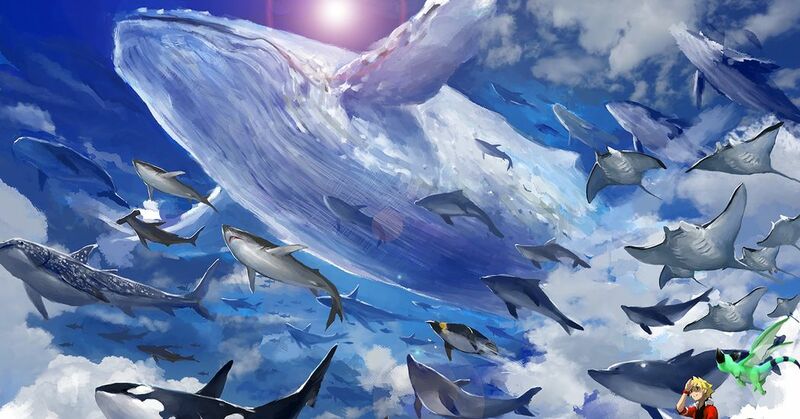 Today we are featuring illustrations of marine animals swimming in the sky. Please enjoy!